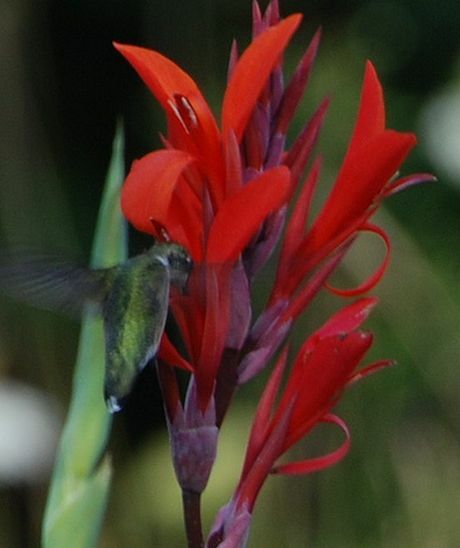 Although Canna is a half hardy perennial it is grown as an half hardy annual in the garden. It is a tall plant that may reach 1.5 m in height. 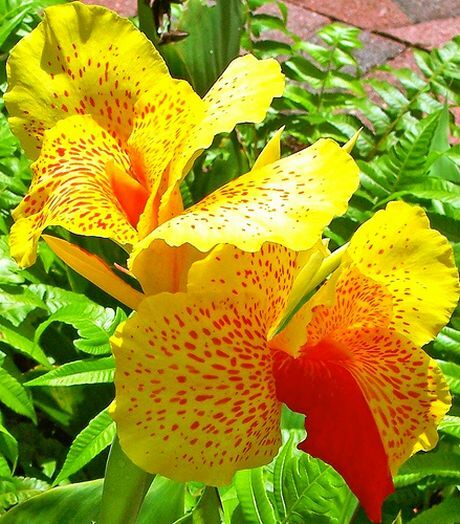 A common name for Canna is Indian Shot. They bloom in the summer and early autumn with yellow, red, or pink flowers on spikes. Common Names: Indian Shot, Canna Lily. Native: Tropic and subtropical regions of the Americas. Growing Region: Annual: zones 3 to 7. Perennial: zones 8 to 10. Flowers: Summer and early autumn. Flower Details: Red, orange, yellow. Three small petals and sepals hidden beneath large stamens. Foliage: Green, brown, maroon. Broad and flat. Herbaceous. Sow Outdoors: Seed 1/4 inch (6mm). Tuber 3 to 4 inches (8 to 10 cm). About three or four weeks after the last frost. Spacing 18 to 24 inches (45 to 60 cm). Sow Indoors: Chip seeds. Soak in warm water for two days. Germination time: three weeks to one year. Temperature 70 to 75°F (21 to 24°C). Transplant outdoors well after the last frost; soil temperature should not drop below 50°F (10°C). Requirements: Full sunlight. Soil pH 6 to 8. Fertile moist soils. Monthly feed. Winter mulch. In cooler areas cut back to six inches in the autumn, then lift tubers and store indoors in a frost free environment, within peat moss. 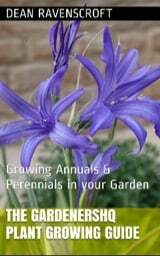 Propagate by dividing in spring ensuring that each tuber has at least two buds. When growing Indian Shot from seed outdoors, it is best to sow at a depth of 6 mm in the late spring, when the last frost has long gone. If growing from tubers then these should be buried at a depth of about 9 cm. If planning to grow Canna seedlings indoors then the seed first needs to be chipped with a knife, and then soaked in warm water for two days. The seeds (which may take from a month right up to a year to germinate) should be kept at a temperature of about 22°C. If you are successful in growing seedlings, then they should be planted about 50 cm apart in a sunny part of the garden that has good drainage. Indian Shot requires a moist soil of pH 6 to 7. Canna / Indian Shot should be well watered in prolonged dry spells and fertilized monthly. Tubers can be divided in the spring to create more plants.